Spain’s Infanta Pilar, Duchess of Badajoz, assisted in the procession of the Jesus Christ of the Alabarderos yesterday, Good Friday. Matt- Ferrara -Magister – Voris – Spencer – reality checks …and more ……….. I urge everyone to watch it as soon as it comes up on EWTN – Last night’s show is not yet posted on their on-demand feed on either their direct internet channel or their you-tube feed but check back again (this evening or tomorrow ) and I am sure they’ll post it The World Over | Eternal Word Television Network, Global Catholic Network http://www.ewtn.com/tv/live/worldover.asp This man Father Drew Christensen spewed so many formal heresies , on the islamic subject, that violate authentic Catholic teaching, in a 15 minute span that even someone with a counter clicker device would have lost count. On the side note topic of heretical Priests – They are literally all over the place – Here is yet another outlandish one on yesterday’s news show episode of the Vortex . Gaudium et Spes (“Joy and Hope”), which does not exactly prioritize the unitive aspect of marriage, but states that it is not less important than the procreative aspect, and proceeds to restate this latter aspect: While not making the other purposes of matrimony of less account, the true practice of conjugal love, and the whole meaning of the family life which results from it, have this aim: that the couple be ready with stout hearts to cooperate with the love of the Creator and the Savior. . . .Married Christians glorify the Creator and strive toward fulfillment in Christ when with a generous human and Christian sense of responsibility they acquit themselves of the duty to procreate. Please compare with Pope Leo XIII Arcanum and Pope Pius XI Casti Connubii which are the echo of the eternal magisterium of the infallible teachings of the Roman Catholic Church compare them for yourself against the non-pastoral teachings of downright heretical Gaudium et Spes and Muleris Dignitatem and you will find the root of the contradictions and the domino affect of multiplying errors in societal teachings and beyond. We have our org “Engineers and Architects for 9-11 Truth” that continues to maintain a high activity level in NY and beyond, among our peers and academics, from its inception and also what we know as fellow 1st hand material witness until this very day. Although not Proper to the entire United States it was celebrated in certain Diocese by Diocese recognitions as such – Aside from being in the Propers of the Little Office Of The Blessed Virgin Mary – It is Proper historically to such Dioceses as Brooklyn, as it was also through the preconciliar Church era, through various other US Dicastries as well as large parts of South America. 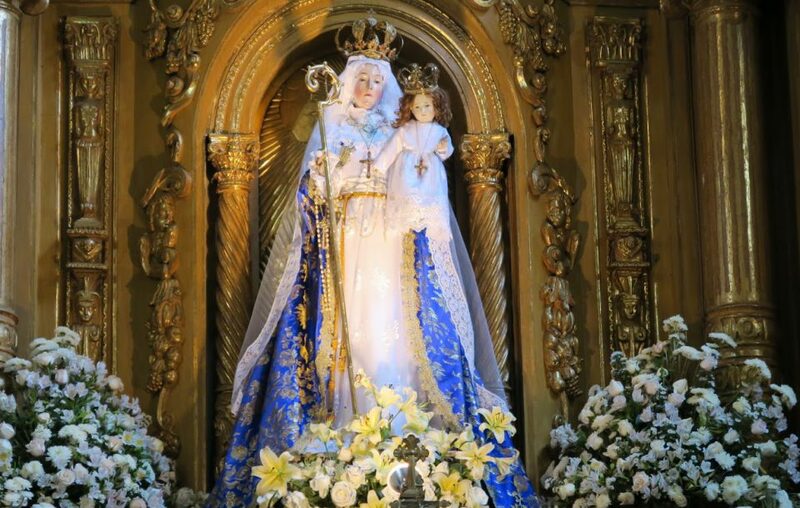 The Valiant Woman, Petruccia, and the Image of Our Lady of Genazzano by Marian Therese Horvat, Ph.D.
Is The Catholic Church’s Unofficial Re_order Of The Primary Ends Of Marriage – The Hard Link Root Of The Proliferation Of The Culture Of Death Advance Of The Ruins? This analysis also that examined the support offered to the UN agenda by Pope Francis and other representatives of the Holy See. The Passover we celebrate brings salvation to the whole human race beginning with the first man, who together with all the others is saved and given life. In an imperfect and transitory way, the types and images of the past prefigured the perfect and eternal reality which has now been revealed. The presence of what is represented makes the symbol obsolete: when the king appears in person no one pays reverence to his statue. How far the symbol falls short of the reality is seen from the fact that the symbolic Passover celebrated the brief life of the firstborn of the Jews, whereas the real Passover celebrates the eternal life of all mankind. It is a small gain to escape death for a short time, only to die soon afterward; it is a very different thing to escape death altogether as we do through the sacrifice of Christ, our Passover. Correctly understood, its very name shows why this is our greatest feast. It is called the Passover because, when he was striking down the firstborn, the destroying angel passed over the houses of the Hebrews, but it is even more true to say that he passes over us, for he does so once and for all when we are raised up by Christ to eternal life. If we think only of the true Passover and ask why it is that the time of the Passover and the salvation of the firstborn is taken to be the beginning of the year, the answer must surely be that the sacrifice of the true Passover is for us the beginning of eternal life. Because it revolves in cycles and never comes to an end, the year is a symbol of eternity. Christ, the sacrifice that was offered up for us, is the father of the world to come. He puts an end to our former life, and through the regenerating waters of baptism in which we imitate his death and resurrection, he gives us the beginning of a new life. The knowledge that Christ is the Passover lamb who was sacrificed for us should make us regard the moment of his immolation as the beginning of our own lives. As far as we are concerned, Christ’s immolation on our behalf takes place when we become aware of this grace and understand the life conferred on us by this sacrifice. Having once understood it, we should enter upon this new life with all eagerness and never return to the old one, which is now at an end. As Scripture says: We have died to sin — how then can we continue to live in it? Christ’s anointing was not by human hands, nor was it with ordinary oil. On the contrary, having destined him to be the Savior of the whole world, the Father himself anointed him with the Holy Spirit. The words of Peter bear witness to this: Jesus of Nazareth, whom God anointed with the Holy Spirit. And David the prophet proclaimed: Your throne, O God, shall endure for ever; your royal scepter is a scepter of justice. You have loved righteousness and hated iniquity; therefore God, your God, has anointed you with the oil of gladness above all your fellows. Armenian Genocide Movie Opens On Friday In Theatres ! FRIDAY @ 7 PM What REALLY Happened in Fatima? SATURDAY @ 9 AM: Conference 1: Jesus’ Presence in the Eucharist: Real or Just Symbolic? Conference 2: Why the Communion of Reparation on the Five First Saturdays? Conference 3: Isn’t the Rosary a Prayer of “Vain Repetitions”? Use church address to search for area hotels to make this a weekend getaway. Sacred Music in a Sacred Space – Easter Season Concert Of Combined Choirs Sunday May 7th – At Saint Ignatius Of Loyola, Manhattan. Sacred Music In A Sacred Space – Haydn’s The Creation- May 24th @ Saint Ignatius Of Loyola, Manhattan. As the real traditions of the authentic Church are kept largely invisible by the new Church – as most of the neo-Church wishes that places like this would go away but supernaturally Sacred Tradition never seems to completely disappear! These words bore out the predictions of the prophets, who had foretold the death he was to die in Jerusalem. From the beginning holy Scripture had foretold Christ’s death, the sufferings that would precede it, and what would happen to his body afterward. Scripture also affirmed that these things were going to happen to one who was immortal and incapable of suffering because he was God. Only by reflecting upon the meaning of the incarnation can we see how it is possible to say with perfect truth both that Christ suffered and that he was incapable of suffering, and why the Word of God, in himself incapable of suffering, came to suffer. In fact, man could have been saved in no other way, as Christ alone knew and those to whom he revealed it. For he knows all the secrets of the Father, even as the Spirit penetrates the depths of all mysteries. It was necessary for Christ to suffer: his passion was absolutely unavoidable. He said so himself when he called his companions dull and slow to believe because they failed to recognize that he had to suffer and so enter into his glory. Leaving behind him the glory that had been his with the Father before the world was made, he had gone forth to save his people. This salvation, however, could be achieved only by the suffering of the author of our life, as Paul taught when he said that the author of life himself was made perfect through suffering. Because of us he was deprived of his glory for a little while, the glory that was his as the Father’s only-begotten Son, but through the cross this glory is seen to have been restored to him in a certain way in the body that he had assumed. Explaining what water the Savior referred to when he said: He that has faith in me shall have rivers of living water flowing from within him, John says in his gospel that he was speaking of the Holy Spirit which those who believed in him were to receive, for the Spirit had not yet been given because Jesus had not yet been glorified. The glorification he meant was his death upon the cross for which the Lord prayed to the Father before undergoing his passion, asking his Father to give him the glory that he had in his presence before the world began. we cast ourselves at thy feet and invoke thee under the sweet title of Our Lady of Good Counsel. of error and evil plot our ruin by leading minds and hearts astray. strengthen them against the hostile and corrupting forces of passion and sin. in doubtful and difficult situations, the course agreeable to our salvation. until at length we come into the harbor of salvation to enjoy with thee unalloyed and everlasting peace.